It’s three weeks since Theresa May announced an independent review of the Mental Health Act 1983, which will be chaired by psychiatrist Simon Wessely and is due to report back in autumn 2018. While the review was trailed in the Queen’s Speech, which spoke of “work[ing] towards a new Mental Health Act”, it’s uncertain at this stage whether that means a wholesale replacement of the legal framework or an amendment to existing legislation as happened in 2007. But headline areas of inquiry are the almost 50% rise in the annual number of detentions under the act from 2005-6 to 2015-16 – and the disproportionate numbers of people from black, Asian and minority ethnic (BAME) backgrounds among them – as well as concerns over the ageing legislation’s suitability for a modern mental health system. The review’s terms of reference also include concerns around safeguards available to patients, the role of families and carers in their care and the effectiveness of community treatment orders. They stress the importance of service user involvement and of drawing conclusions that “have broad support among service users, carers, relevant professionals, and organisations affected”. But what do those with experience of the system think? To find out, we spoke to service users, approved mental health professionals (AMHPs) and academics to find out what’s not working, what reforms they’d like to see and their hopes and fears around the review. In its terms of reference to the review, the government made clear that some of the solutions to the problems highlighted would come in changes in practice, not law reform. This view was resoundingly echoed by the professionals and service users we spoke to. But as well as practice changes, they stressed the importance of extra resources, in particular to invest in services that prevent people from being detained under the act. A report last month by the Centre for Mental Health highlighted that while available bed numbers per 100,000 population in adult and older people’s services in England had fallen by 15% between 2012 and 2016, this has not been offset by investment in community alternatives. In fact, the number of contacts by community mental health services with service users fell by 6% during this period. And those community services set up to provide a clear alternative to inpatient care – crisis resolution and home treatment teams (CRHTTs) – also saw a reduction in contacts of 6%. In the implementation plan for its Five Year Forward View for Mental Health, NHS England admitted that most CRHTTs were not sufficiently resourced to operate 24/7 with caseloads above levels required to provide their core function of crisis response and intensive home treatment as an alternative to inpatient admission. “One of the main problems is resourcing – the lack of prevention, allowing people to deteriorate without input in the community,” says Steve Chamberlain, chair of the National AMHP Leads Network. Jean, a service user with more than 10 years’ experience of the mental health system, says there would be “no need to be faffing about with the Mental Health Act” if better crisis services were provided. “If people got the right help at the right time, we wouldn’t be going down this route,” she says. The implementation plan for the five year forward view has set an objective that by 2020-21, all areas will have CRHTTs that are resourced to operate in line with recognised best practice and deliver 24/7 crisis response and intensive home treatment as an alternative to admissions. This will require investment in these services to increase by £146m a year by 2020-21. The disproportionate detention of people from BAME groups has long bedeviled use of the Mental Health Act. NHS Digital figures for England released this month revealed a detention rate of 272.1 people per 100,000 among black or black British people, four times the rate for white people (67). The gap was even greater in relation to community treatment orders, with usage rates of to 60.1 per 100,000 for black or black British people and 6.8 for white people. Several people make the point that as the Mental Health Act is not an intrinsically racist piece of legislation, the government must place particular emphasis on listening to the experiences of BAME people who have been detained, to try to understand why they are over-represented. “Attending to inequalities means exploring both interactions and behaviours leading up to Mental Health Act use, practice standards around its use, and safeguards around during and after its use,” adds Kamaldeep Bhui, professor of cultural psychiatry and epidemiology at the Wolfson Institute of Preventive Medicine, who recently blogged for Community Care on the subject. In that piece, Bhui made clear that there was a need for much greater research into the reasons behind ethnic inequalities in mental health provision – a role that will be taken up by the Synergi Collaborative Centre, a new research body that he will lead. Legislative reform was part of the solution, he suggested, but changes in practice, resources and patterns of services would also be necessary. Both AMHPs and service users flagged up the fact that inadequate implementation of the current law was also a factor behind the issues the government’s review seeks to address. In particular, they said that too few people who deploy the Mental Health Act’s powers are well-versed in the legislation and, importantly, the code of practice that accompanies it. The England version of the code was revised in 2015 and the Welsh equivalent in 2016. Relevant staff, including AMHPs, psychiatrists and hospital managers, must have regard to their country’s code and should be trained in it. However, the Care Quality Commission’s (CQC) Monitoring the Mental Health Act in 2015-16 report found that staff on less than half of mental health wards in England had been trained in changes to the code, or had been provided with updated policies and procedures. Sue, a mental health service user, says that on wards she has been on, staff have had neither knowledge of nor access to a copy of the code of practice, meaning poor – and sometimes abusive – practice can go unchallenged. “You have nurses, doctors and others who are enforcing the act and just don’t know [how to implement it properly],” she says. Areas in which the CQC found that the code was not being followed included in relation to the provision of advocacy, service user involvement in care planning, gender separation of facilities and seeking service users’ consent to treatment. But while virtually everyone we spoke to agreed a broad scope was crucial to the review’s chances of success, and many said the Mental Health Act’s foundations were solid, most admitted that the legislation itself needed refreshing. This is partly an issue of the language of the act, which many see as being paternalistic and stigmatising. He cites sections 135 and 136, which cover obtaining warrants to enter people’s homes and the police’s rights around removing ‘mentally disordered’ people from public places, as particularly egregious examples. Bhui, meanwhile, calls for “an appropriate positive and enabling language [to be] invoked, to optimise for patients that their care is highly professional, safe, and informed by the evidence and of a minimal standard”. But there are also calls for the substance of the act to be changed in certain key areas. Many of these centre on enhancing rights and safeguards for people subject to compulsory treatment. Steve Matthews, who blogs as The Masked AMHP, says that a rewritten Mental Health Act must be about “primarily ensuring that the needs and rights of patients are paramount, along with the sometimes conflicting needs and rights of carers and relatives”. In terms of specific areas that need attention, the majority of people we spoke to said that the review must at least attempt to engage with how to bridge the gap between mental health and mental capacity legislation. The Mental Health Act enables treatment to be given against the wishes of people who have the capacity to consent. 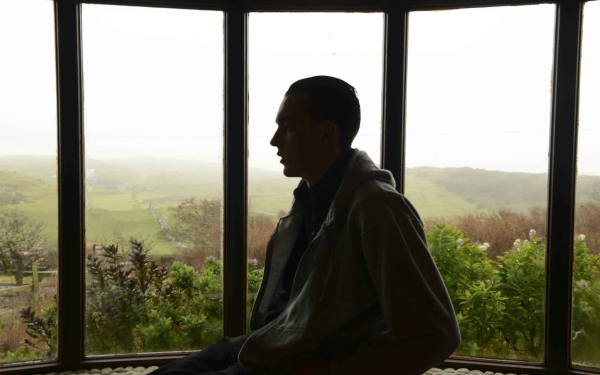 While people have a right under the Mental Capacity Act 2005 to make an advance decision to refuse certain types of treatment, this can be overridden in the case of people detained under the Mental Health Act. A recent report into legislative reform by sector coalition Mental Health Alliance, based on the views of service users and professionals, found strong support for advance decisions around refusal of treatment to be respected, rather than overridden. “The whole issue of mental capacity is a mess – the issue around treating people against their will because the Mental Health Act allows you to section someone who is capacitous,” says Chamberlain. Sorting out how to respond to people who have capacity to make decisions around treatment is “the big issue for us”, he says. A number of people also suggested strengthening patients’ rights to mental health advocacy, either by extending them to patients who have not formally been detained under the Mental Health Act in England (mirroring the situation in Wales) or by ‘beefing up’ processes to ensure consistent access. People who are detained under the Mental Health Act are entitled to an advocate, but concerns have been raised in the past around professionals’ knowledge of and application of these rights. “There should be a duty to provide an advocate,” says Sue. “It may not be practicable at home, but should be a duty from the moment someone is detained, whatever time of day or night, wherever you are.” People who have been sectioned should also be provided with copies of professionals’ reports and detention papers as a matter of course. she adds. For a revised act to better safeguard people’s rights, AMHPs we spoke to were near-unanimous on the necessity for tougher rules surrounding the duties of other agencies involved in sectioning individuals – in the first instance simply to attend promptly as they would in other potentially life-threatening situations. “The only explicit duty on an agency in the Mental Health Act [prior to someone being admitted to hospital] is for the local authority and the AMHP to respond,” says Tom. “There is no duty on the NHS to provide sufficient doctors, and none on other services to provide support. AMHPs are also scathing about the application of section 140 of the Mental Health Act, which imposes a duty on CCGs in England and health boards in Wales to inform local authorities of where beds will be in case of urgency. A lack of compliance with this, AMHPs say, is fuelling the numbers of people sent out of their local areas, in some cases hundreds of miles away, while others languish in police stations waiting for a bed to be found. Where people are being held in section 136 detention areas – ‘places of safety’ where people are taken by police to await assessment – adds Sue, there should be a statutory duty on mental health trusts to ensure that these are properly staffed. In some areas of the country, she says, people are routinely detained in hospital rooms where they are only attended to by security guards. “Imagine any other situation where someone with a life-threatening illness is taken to A&E and they don’t see a nurse or a doctor – potentially for 72 hours,” she says. That time frame is set to shrink with the implementation of reforms in the Policing and Crime Act 2017, which will amend the Mental Health Act to reduce the standard maximum period of detention under section 136 from 72 to 24 hours. It will also forbid the use of police stations as places of safety for under-18s and limit their use for adults. Two other areas flagged up by people we spoke to are around ‘nearest relative’ rules of who gets to make decisions around someone’s treatment, and community treatment orders (CTOs). Both, as mentioned above, have been explicitly included in the government’s terms of reference for its review. Nearest relative rules enable people to apply to have a relative sectioned, or to object to a sectioning, to discharge their relative or apply to a tribunal if this is refused, to request an advocate and to be consulted on behalf of a relative who has been sectioned. But the selection of the nearest relative is not based on the service user’s wishes. Instead, section 26 of the Mental Health Act sets out a rigid hierarchical list of people who can be considered the nearest relative, starting with a husband, wife or civil partner and ending with a nephew or niece. “I would suggest abolishing the nearest relative, and replacing it with something closer to the Scottish system, under which patients can appoint their own named person and have some power over who will represent them in these situations,” says Matthews. He adds that the power of a nearest relative to make an application for detention, while seldom used, should be revoked given that AMHPs must undergo rigorous training before they are entrusted with such powers. CTOs, meanwhile. were introduced via the Mental Health Act 2007’s amendments to the 1983 act. Under them people are discharged from detention in hospital but with conditions placed on them designed to ensure they continue with their treatment, with the possibility of them being recalled to hospital under certain circumstances. While most people who we interviewed for this article saw little intrinsically wrong with the government review’s terms of reference, there were mixed feelings as to its likelihood of achieving meaningful change. Most of our interviewees agreed that the overarching problem lay with a lack of parity of esteem given to people with mental health problems compared with those with physical illnesses. “That is fixable without changing existing legislation – I am concerned about this becoming a political exercise, and an opportunity to manage funding issues by rationing inpatient treatment when needed, under the guise of patient empowerment,” Matthews says. Chamberlain says the review’s commitment to inclusivity strikes a positive note. “Hopefully the government has realised it will work better if it involves those who know the workings of [the system],” he says. Ultimately, Bhui says, people who are reviewing the Mental Health Act need to consider whether they would be satisfied with being subject to its provisions. As part of this, the review team will need to overcome a degree of scepticism. Service users in particular were sceptical of the review’s ability to go beyond inviting ‘token black people’ onto panels and to actively track down dissenting voices. Reference is made to the increase in detention of patients from a BAME background ( 50% 2005 – 2015). I would be interested to known if the role of the ‘nearest relative’ has contributed to this increase where the detention was made under section 3 MHA 1983. I agree to a change in the rules related to nearest relatives. Certainly hope that the Independent Review will enable comments/submissions to be made, I have plenty that I wish to add. Many ‘experts’ say the right thing but still have difficulty really putting people with experience of services or being subject to the mental health act at the centre. Requests to be involved are met with ‘we don’t have money for that’ or ‘we have a very limited budget’. As a national ‘user led’ network we still struggle to be recognised as a valuable resource. Let’s hope the opportunity to do the right thing & change draconian legislation & practice is really informed (if not led by) the people it most affects. I have some experience in this field. The rights one of my young woman (over 18 years of age) from an Ethnic minority community, was clearly discriminated against. Her nearest relative was marginalised and removed, under section 3. With no evidence of mental health problems. We are still fighting this case. I fear that any change in MH law or practice will aim to mollify service users and their carers by proposing extra safeguards and rights, without providing the resources necessary to implement them. This is already the case with the proposed reduction in s136 detention from 72 to 24 hours, without increasing the availability of AMHPS, s12 approved doctors or hospital beds. This is a disaster waiting to happen and will result in illegal detentions and worse still, the inappropriate discharge of vulnerable people into the community. Has the Government risk assessed this change – I doubt it. You don’t need treatment for an overdose. You need talking to being listened to to find out what made u that unhappy in the first place.. Drugs should be very last thing used. Mental healthvr valve around them. If u don’t want take them they don’t want help you.. And when you are depressed you do have ups as well as downs so have capacity then and people should know your wishes anyway… When kept against your will if u have a no drugs wish it should be respected.. It’s not only cure.. If I was that way I would rather be in a room where I can’t hurt myself than have any medication whatever..
Having a child ‘sectioned’ is one of the saddest things that a parent may ever have to do. I can think of only a few decisions that a parent makes for a child that are more difficult. In our case, we were living in a house filled with suffering and the experience was killing all. It was a question of who broke in what order and how. We had no idea how we were all meant to cope and yet there was no help. This was often presented as a matter of ‘our son’s choice’ because he would’ent ask for help. I did’ent really understand how child protection professionals understood ‘neglect’ then. I think I do now and still cannot fathom how this situation could be acceptable or why anyone could think blaming parents for neglecting their child in this situation might just be needed before services could get involved. There were other considerations. I believed we owed it to our son to get him the most accurate assessment we could so that he was not subjected to a lifetime of toxic treatments potentially based on an inexpert initial mis-diagnosis. I was also aware that as our son got older it was more likely that he would be placed on an adult rather than a children’s ward. This was a terrifying prospect in itself. His CAHMS doctor believed him likely to be autistic with poor mental health but without our son’s engagement and assessment no-one could be sure. Without diagnosis there could be no access to services. The doctors needed us to say the words together ‘’Please can he be sectioned for assessment’’. Waiting for an appropriate bed was indescribably awful. ‘A section’ is supposed to be an immediate response to a crisis but because of the shortage in specialist assessment beds nationally, it had to be planned like a military operation so he could go to a locally commissioned bed in an adolescent mental health unit when one came free. When he was detained, the unit staff appointed a guardian and submitted an appeal against detention on his behalf. This was considered a check against unnecessary detention. In the event our son was discharged within weeks with an Asperger Syndrome diagnosis. He has not accepted this and it has destroyed what was left of our relationship. He never returned home and eventually entered Care under Section 20 of the Children’s Act 1989. At the time, I did’ent know what we needed as an alternative to sectioning, but I think we needed help from psychologists understanding how our son was processing what was happening around him. He has a lot to give to the world and the aim could have been re-engagement rather than ‘recovery’. Clinicians would have needed to be prepared to work with us based on his behaviour rather than being certain that he would meet diagnostic criteria for x or y to access their service. I never want him detained again and would probably fight on his behalf if he ever were. Children with his profile of strengths and difficulties are as likely to deteriorate sharply as ‘recover’ good health within secure settings. The imposed proximity to others and the loss of agency are toxic for autistic people. Often perceived recovery is a matter of compliance and autistic people cannot comply as others want them to, in the same way as a blind person cannot use their sight. As is known sadly too often medication and the threat of medication may be used to enforce compliance. All now know the nature of his difficulties and this has to be protective for him long term. He would not have been accepted into Care without a diagnosis. We have also given him the dubious gift of knowing himself, if he is ever prepared to look within that box. His diagnosis came appallingly late. The process of obtaining it was appallingly destructive. I wonder how many autistic children without a diagnosis are in the care system or prison that with early diagnosis that is their right, could lead happier and more productive lives? The suffering for all affected and the waste of human potential is unacceptable in a society that considers itself humane. For anyone without a heart, the financial costs as our son’s case demonstrates, are very high. It is exciting that, there seems to be a drive to harmonise ethic inequalities encapsulated in Mental Health practice and services. Hopefully the exercise will extend to finding ways to improve how professionals from the BAME groups are treated by colleagues. More so equitable access to senior role opportunities and the extinction of practices such as deliberate, targeted and systematical, disenfrichisement of BAME health and social care professionals by prejudiced senior managers.